We want to celebrate the holidays with you, by giving you up to $12 or more in bonus values, when you recharge $20 or more! And to welcome the new year, why don’t you try out a new OneSuite service for 1 month, the subscription fee is on us! OneSuite Video: OneSuite does that, that AND that? But it’s true, OneSuite doesn’t just give you great cheap international calling, we offer so much more as well. OneSuite Fax is great with unlimited incoming fax and low outbound rates. Would you like to further muscle up your internet fax account, and promote business opportunities, by offering a toll-free fax line? Would you like to travel overseas and still be reached by a U.S. or Canada number? And avoid the high international roaming charge from you wireless service provider when you’re abroad? With OneSuite Forwarding, you can affordably subscribe a local number at $2.95/month, to forward all your calls to any international destination. This way, callers can reach you at local-call cost, and the forwarding rates are incredibly low. 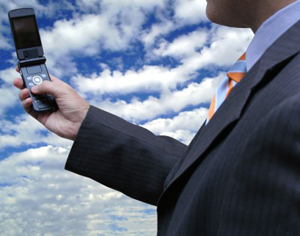 Have you used a call forwarding service? Well I haven't until recently when I subscribed to OneSuite Forwarding service. You see I always travel in and out of the country. My job requires constant travel to Asia and Europe and I usually activate roaming on my mobile phone before but the high cost prompts me to always look for better alternatives. Mobile roaming is very expensive. Calls at $2 a minute are pretty normal. How Can OneSuite Call Forwarding Assist Business Growth? Series I Businesses are always trying to find new ways to increase their business opportunities and increase bottom line. I think OneSuite Forwarding is just one of those great services that can assist you to achieve just that. So I’ve decided to start sharing my ideas through this blog series. Travel much? Would you like to have the flexibility of routing all your calls/faxes to different traveling destination numbers? Our new product offering, OneSuite Forwarding, makes all your calls/faxes follow you worldwide, at only $2.95/month, and incredibly low forwarding rates.